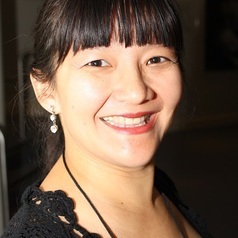 Dr Lee-Fay Low (BSc Psych (Hons), PhD) is A/Prof in Ageing and Health in the Faculty of Health Sciences, University of Sydney. She leads the Community Care research node for the Dementia Collaborative Research Centre - Assessment and Better Care. She has published 70 peer-reviewed papers, and six book chapters, and been awarded over three million dollars in competitive grant funding. She has also written a book "Live and Laugh with dementia" for family and professional carers and people with early dementia. Her main areas of research are in risk factors for dementia, dementia literacy, dementia in persons from culturally and linguistically diverse backgrounds, community care for persons with dementia, and non-pharmacological interventions for people with dementia. She has expertise in epidemiology, systematic reviews, clustered randomised trials and translation of research into practice. She will sometimes admit to liking statistics. She is actively engaged with the academic and aged care service communities sitting on several advisory groups, as well as on the board of a not-for-profit organization.